This entry was originally published in MrsMartinez's Raves and Rants. These days, I am happy because I have found a solution to my dry skin. You see, I have been visiting my dermatologist for numerous skin problems. 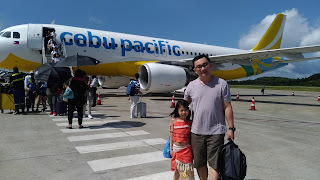 It all began late last year, I visited her clinic before I left for a vacation in Korea because I found tiny bumps in my forehead, I also have back acne and a disturbing rash on my chest. It felt so weird that everything came out simultaneously, even DH was in panic mode! But with diligence in applying the prescribed topical medication, all my problems were solved or so I thought! Earlier this year, I noticed that there was a small circular dry area on my right cheek. Of course, I went back to my dermatologist right away! I was going anyway for a follow-up check up on the condition of my back acne - it was the most annoying thing that has happened to me. 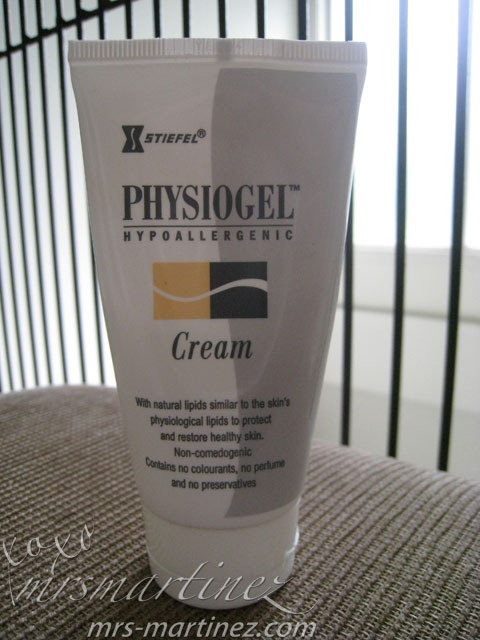 During that visit, aside from topical medication prescription for my pimples, she gave me a sample sachet of Physiogel Hypoallergenic Cream for the dry area on my right cheek. I found it effective so after finishing it, I bought several sachets of different Physiogel products so I can try which one my skin needs. I don't know if this skin dryness is caused by aging because after the right cheek, the dry area moved to the lower eye area just above my cheek. Aaack! Just in case you are experiencing what I am experiencing, I want to share what I feel like the most apt solution to it. 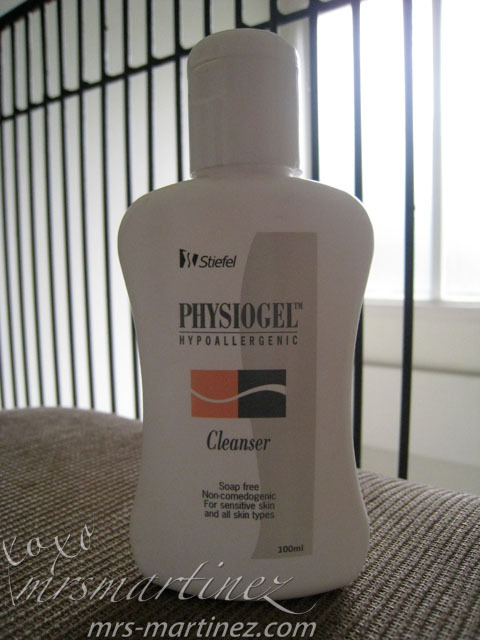 Physiogel Cleanser can be used with or without water. Since I am always at home when I use it, I rinsed the formula with water. Sometimes, if I feel that one wash was not enough, I wash my face for two consecutive times. Please note that this cleanser does not really remove makeup. I suggest that you apply Pond's Cold Cream first to remove excess makeup or dirt on your face then wash with this cleanser. 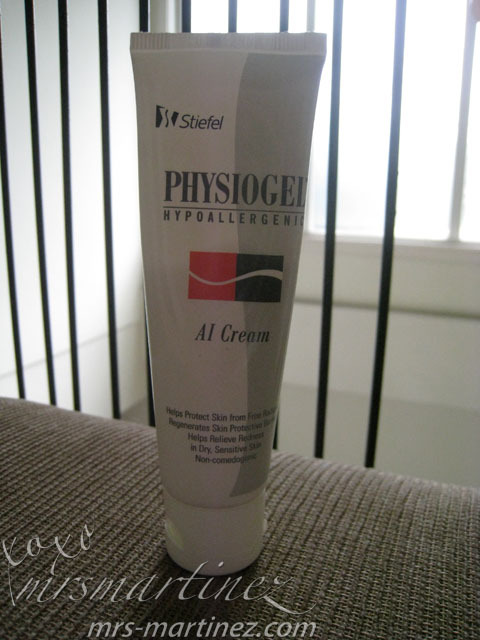 Mercury Drug Store came up with a pack of 2 Physiogel AI Cream that was why I bought it in the first place. At the time I was able to buy it, I think it was priced at only PhP 999 for one pack. Right now, I am using AI Cream instead of just the Cream variant. 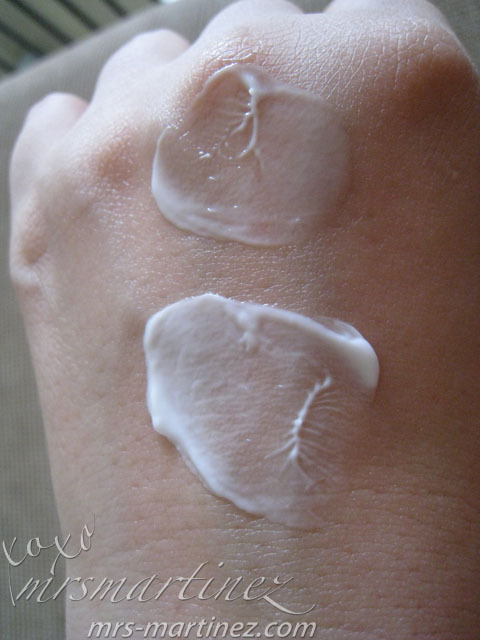 When I apply makeup, I use the ratio - 1 (AI Cream) : 2 (Kanebo BB Gel Cream). I blend it together onto my palm. I spritz my face once with water. I apply the blended product all over my face. Blending it all over in circular motion. The result is a dewy makeup that needs no retouch. 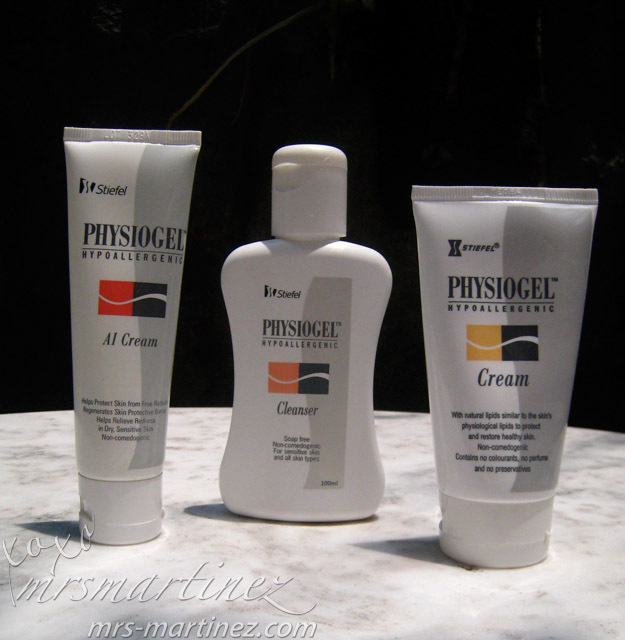 All three Physiogel products that I featured here can be used on the face and body. 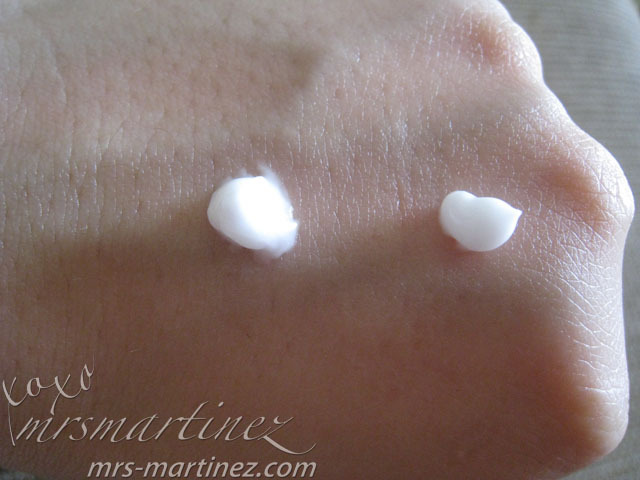 Since the Cream is not as thick as the AI Cream, I apply it on my arms, neck and back. 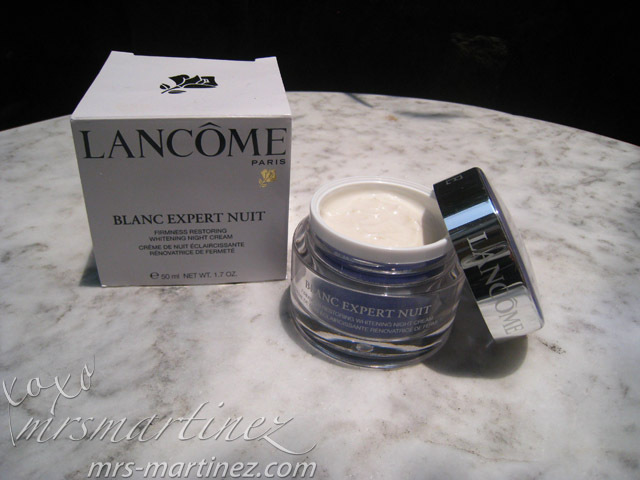 I got this Lancome Blanc Expert Nuit Firmness Restoring Night Cream as part of the PhP 10,000 worth of products which I won in Lancome's Hypnose Doll Eyes Look. 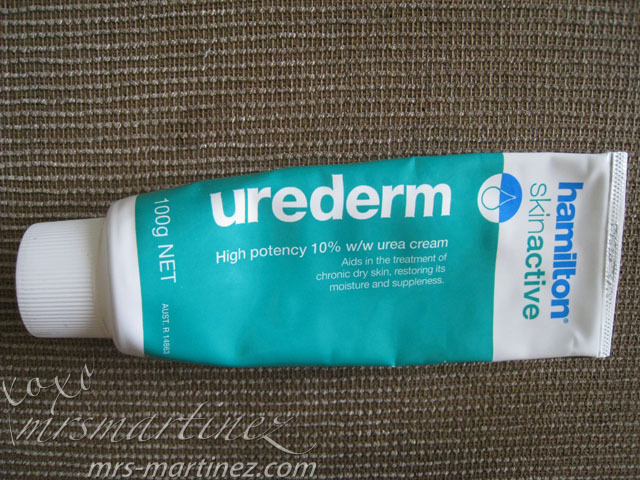 Urederm was prescribed by my dermatologist. I used it before on my back acne which I found out was not acne at all. Darn, I forgot what it's called! But my back is okay now, thanks to Hamilton Skinactive Urederm. I apply Dove Nutri-Oil Serum on my towel-dried hair. It's easy to style my hair after plus it keeps my hair shiny all day without feeling heavy or greasy. 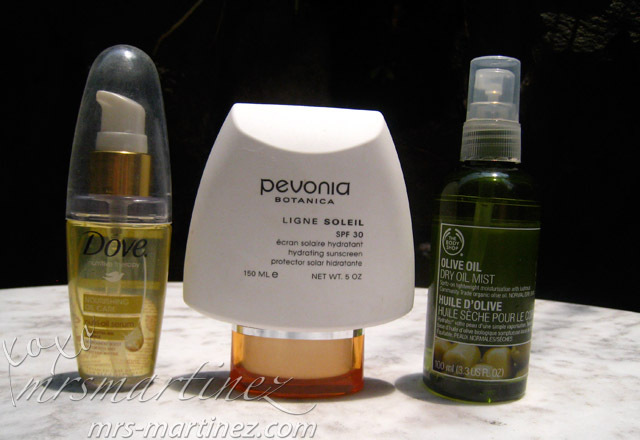 Recently, I started reapplying Pevonia Botanica Ligne Soleil SPF 30. Before that, my dermatologist forbade me to apply sunblock because of my skin condition. Now that my skin is healed, I apply it before putting on makeup. 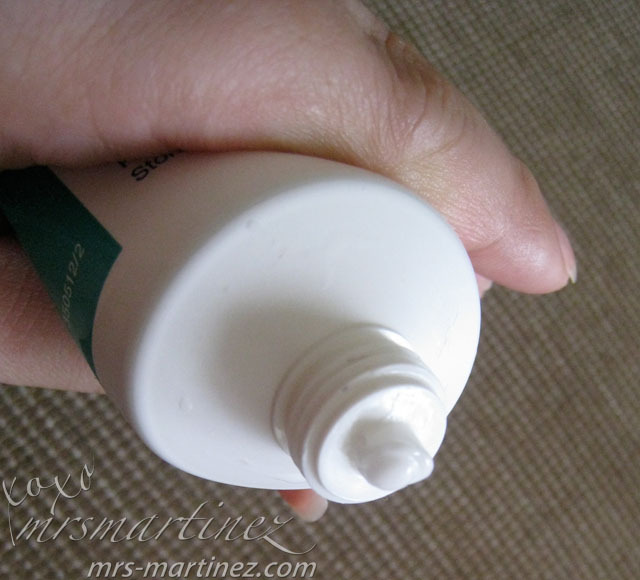 I use Dry Oil Mist alternately with Physiogel Cream. 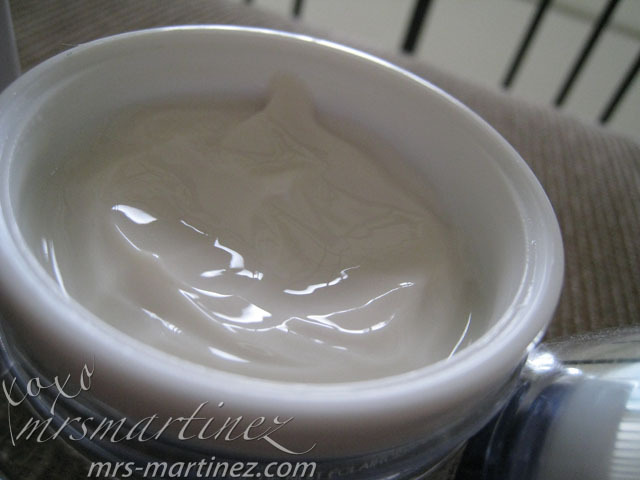 I love the scent of olive oil on my skin so I used this most of the time especially after coming out of the bathroom. That's it! 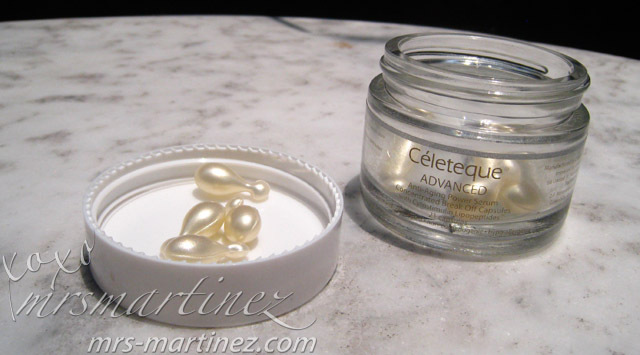 I hope you can also share all the products that you use to take care of your skin. Maybe you can also share a tip or two. Thanks for taking the time out to read this post!